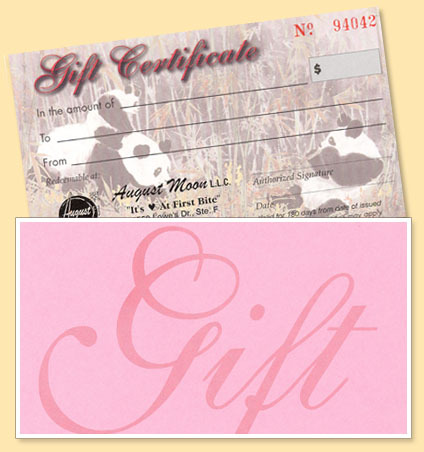 August moon gift certificates make the perfect statement! It’s a wonderful gift anyone can give for any occasions. August Moon Gift Certificates are available in any denomination from $10.00 to $200.00. Gift Certificates may use toward purchase of food and beverages at the restaurant whether it is dine in or carry out.